Unique. Inspired. Local. The Story of our First Labels. The process of conception to completion of our designs for the inaugural Sokol Vineyards label was a year long project. Our finished product would not have been possible without the incredible Genn Mistkowski, owner of Paper Flower Studios. Genn is a local Graphic Designer, Illustrator and Brand Developer. She was able to bring our ideas to life, beautifully. The results are true works of art. We wanted our label to be unique. To be a conversation piece on your dinner table. While researching the current and past trends of label design (by research we also mean taking long walks down the the grocery store wine aisle), we observed a vast array of designs. Some interesting, some boring, others weird, while a few were down right clever. As a family we decided we would set the goal of “standing out”. We wished our bottles to be small works of art. Ones you would hesitate to recycle the next day once finishing the delectable wine inside. Enter Genn Mistkowski. We presented her the four wines we are opening with, two white, and two red. We ultimately decided to create two series; the Falcon Series and the Spring Series or Katya as it was ultimately named. The Falcon Series would include our two reds and one white, while Katya would be the remaining white. The wine chosen for Katya was so unique in its own right we wished to display this accordingly, allowing it to stand alone. Inspired, we let Genn take the lead. She was able to translate what was in our vision to the designs we display for you today. When viewed in person there are a few more textural details to complete the vision. To experience those you will have to come to the Sokol Vineyards tasting room in Downtown Ocala this Spring! And of course, have a glass of wine! We are thrilled with this inaugural collection. We are looking to build a reputation for an artistic vision and a legacy of local artists. Celebrating community, fine craftsmanship and extraordinary talent. Cheers to that! Or, Na zdravie! How did we choose the names of the wine you ask? Let me take a moment to explain. We wished to stay within the theme of our Slavic heritage. Its our thing, we are very proud! 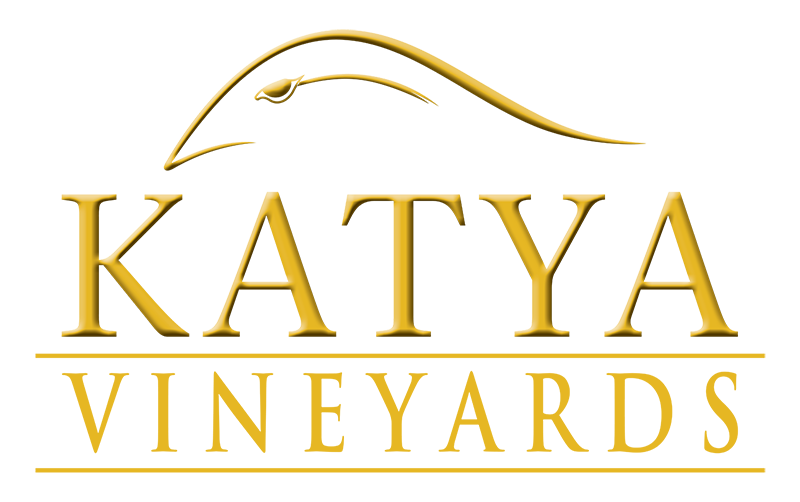 Katya – American White Blend. Old childhood nickname of Katherine, daughter of wine maker and owner David Sokol. Alexandra – American White Blend, Falcon Series. Named for Katherine’s middle name. Nikolai – American Red Blend, Falcon Series. Named for the family’s youngest grandson. Mikhail – American Red Blend, Falcon Series. Named for famous Russian ballet dancer Mikhail Baryshnikov. Katherine is a retired dancer, she picked this one!